58-year-old Beninese singer and songwriter Angelique Kidjo will grace the annual Isaiah Katumwa concert slated to take place on April 30. Angelique who is known for her musical influence and her creative music videos will grace Katumwa’s event that will fall on the same day with International World Jazz Day. She will not come alone but rather with Darren Rahn, a British multi talented artiste and saxophonist. This was announced in a Press conference organized by Katumwa yesterday at Kampala Serena Hotel. Speaking at the presser, Katumwa said he organizes the Jazz concert every year to celebrate Jazz music and promote it more to attract more jazz singers to join his kind of music. His choice of bringing Angelique and Dareen Rahn is because he considers them influential singers. “We are looking forward to an evening that will be defined by the rich and eclectic sounds of two of the most outstanding jazz icons of our times,” said Katumwa. 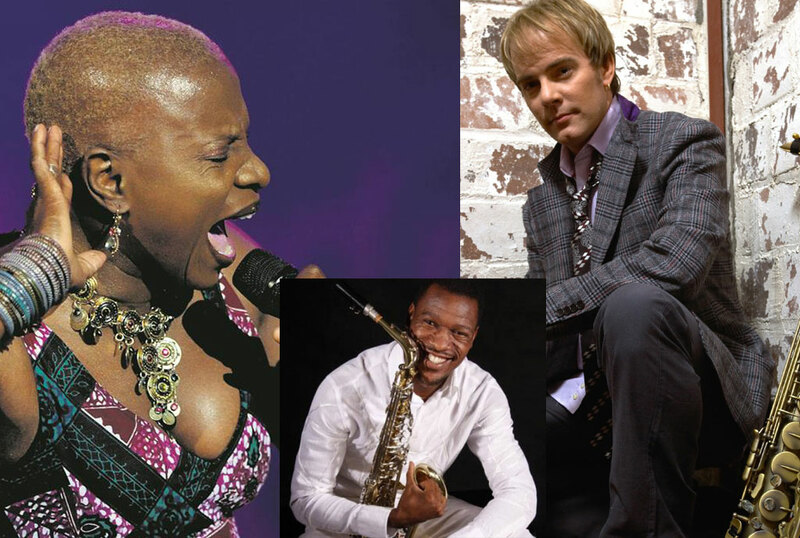 Angelique Kidjo is best known for hit singles such as Agolo, Wombo Lombo and Malaika among others. Darren Rahn on the other hand is a Canadian-born saxophonist with a love for contemporary jazz. The artiste boasts over 25 number one radio singles and multiple Grammy nominations over the past 11 years of working as an artist, producer and mixing engineer. He has scored several hit songs with his best-known works being Talk of the Town and What Cha Gonna Do for Me.